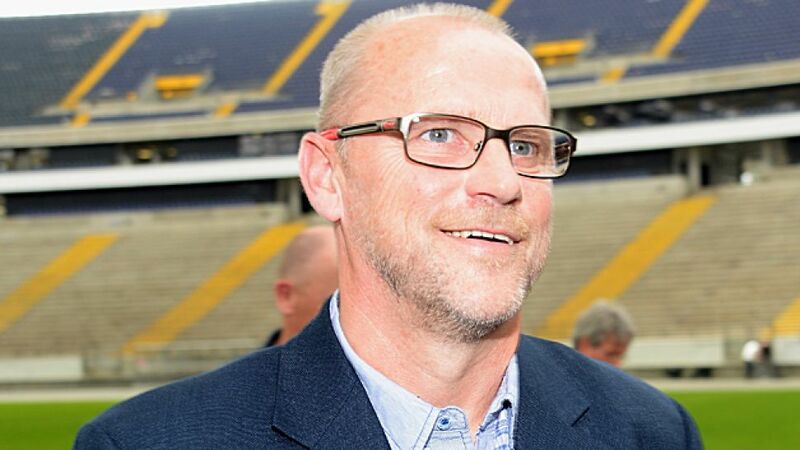 Frankfurt - When Eintracht Frankfurt announced the appointment of Thomas Schaaf as their new coach in May, it caught many football observers by surprise. Upon closer inspection, however, modest Schaaf and ambitious Eintracht could prove to be a match made in heaven. Click here to read Part II of our interview with Thomas Schaaf. bundesliga.com caught up with the former SV Werder Bremen coach and in this first instalment of a two-part interview, we asked him about his year-long break from the game, his motivation for returning to the Bundesliga and why he chose Eintracht. Thomas Schaaf: It's true, I quite intentionally took a complete step out of the public eye after leaving Werder Bremen. It was very important for me not to show up everywhere and say things. In cases like these, that's what the other party does anyway so it was fine by me. bundesliga.com: How did you spend your sabbatical year? Schaaf: I completely switched off and didn't have any interest in football at all to start with. It was pretty good timing too, since it happened at the end of a season and the holiday season was just starting. There wasn't any football which could have grabbed my attention anyway to begin with. Instead, I dedicated this time to other things. Things which otherwise got a little neglected. I soon realised that I was doing things exactly the right way for me. bundesliga.com: Were you still able to avoid football when the new season started? Schaaf: Of course there were times when I'd spend the odd Champions League evening watching games with friends, but I wasn't obsessed with football at the time. Football was no longer an obligation like when I was working in the game. bundesliga.com: Did this time give you a different perspective on the game? Schaaf: I don't know whether you can really talk of it being a 'different perspective'. While I was observing games for UEFA from time to time in the spring, I realised that you are able to view things from different angles when you're not directly involved. Above all, you can reflect on things better. When you're involved in the game on a day-to-day basis, there's no time for such a luxury. bundesliga.com: Was there a point when you started to miss the daily work on the training field? Schaaf: If you were just to sit all alone in a dark room, waiting for something to happen, then of course that would happen sooner or later (smiles), but no, it wasn't like that. I always had something to do and plenty of other things kept me occupied. However, I did at some stage feel that my appetite to be involved directly again was gradually coming back. bundesliga.com: Eintracht Frankfurt are a club with a great tradition and a lot of potential, but the same could be said for many other clubs too. So what was it that convinced you Eintracht was the one? Schaaf: Everything was perfect. The talks with those in charge, from [president] Heribert Bruchhagen to [sporting director] Bruno Hübner convinced me that Frankfurt was the right choice for me. bundesliga.com: How important to you was it that your long-time assistants from Bremen Wolfgang Rolff and Matthias Hönerbach, as well as your goalkeeper coach Michael Kraft were able to join you? Schaaf: That was very important for me. To start with, a lot of things are new and you've got to get used to them slowly. It's therefore a big help when you don't have to explain everything in depth, but when everybody knows what has to be done as soon as you get to work on the training field. We've been working together for many years and, as a result, we're on the same wavelength. That helps a lot, and what helps me with my work also benefits Eintracht Frankfurt.